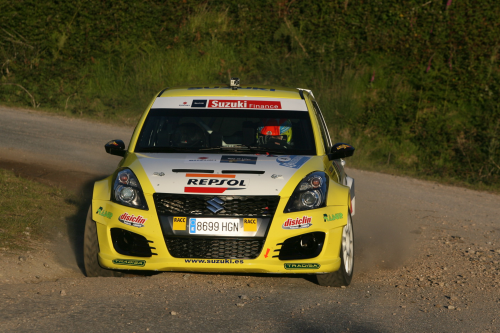 Two Suzuki S1600 rally cars with custom designed light weight composite body kits secured ‘Winner’ and ‘Runner up’ positions in the 2013 Spanish Rally Championship. Both cars competed this season in the two-wheel drive, 1640cc 4-cylinder engine ‘Super 1600’ formula rally class. 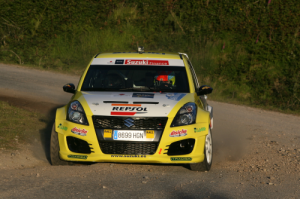 The re-engineered composite body panels were supplied to the Suzuki-Repsol team by Karbonius Composites, a Spanish fabricator which specialises in designing and moulding bespoke carbon and Aramid fibre reinforced parts for Motorsports applications. A 55% weight reduction was achieved by switching the production process to vacuum bagging and fabricating new front and rear bumpers, the four inner wing sections, two mirrors, and the front fog light housings using Crestapol® 1250LV high performance acrylic resin reinforced with Aramid and Silionne glass fibre fabrics. 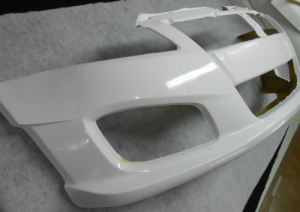 The new Suzuki S1600 body panels also used white pigmented Crystic® LS 97PA, an isophthalic marine approved spray gelcoat, which is able to provide superior UV weathering performance and gloss retention to cope with the intense sunshine conditions typical for Spain during the summer.